Plastic Louvers offered to come in durable construction finish and provide for no deformation as well as safety from issues like cracking and rotting. Offering longer service life, these louvers also allows for stable usage and also allows for direct washing. 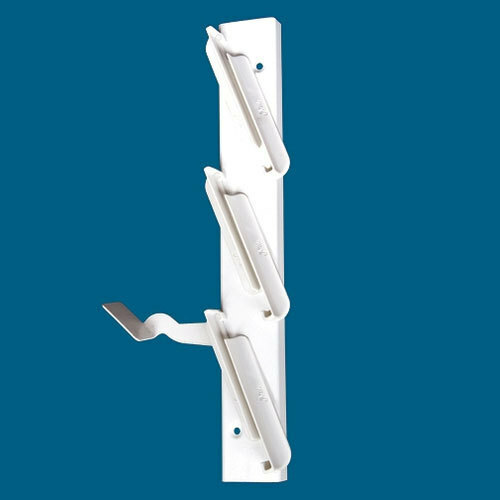 Established in the year 1982, Known for our ethical business practices, "Rathod Industries", are a prominent manufacturer, supplier and exporter of Door Handle, Aluminium Louvers, Door and Window Fitting Accessories and many more. Our company has professionally managed group of highly experienced professionals, who are working towards meeting our clients products' need. We work in co-ordination with our esteemed clients to provide them perfect solutions as per their requirements. The impeccable quality & strict commitment to client satisfaction are our tools for our success. Mr. Bipin Rathod, backed by his three decades of experience, the company has made immense progress. Further, it is the satisfaction of the customers that matter to us. As a customer-centric organization, we follow certain principles that are a guidebook to have long and steady relations with. Moreover, our ethical principles assist us to have long and steady relations with the valued clients.We are the leading Aluminium Architectural Products Manufacturers in India.